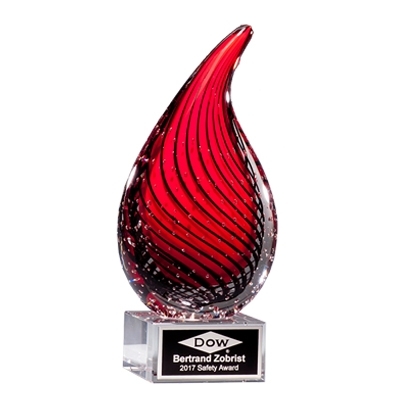 This beautiful award is perfect to present for any occasion! The red and black blown glass rises like a flame while resting on a clear crystal base. A black and silver metal plate is attached to the base and laser engraved with your custom text and logo.